Peacekeepers fathered more than 6,000 children in Liberia while helping the country overcome its vicious civil war in the 1990s, AP news agency reports attributing a center set up to register and support them. Many of the children were sired by a West African peacekeeping mission that came to Liberia in 1990 and left eight years later. 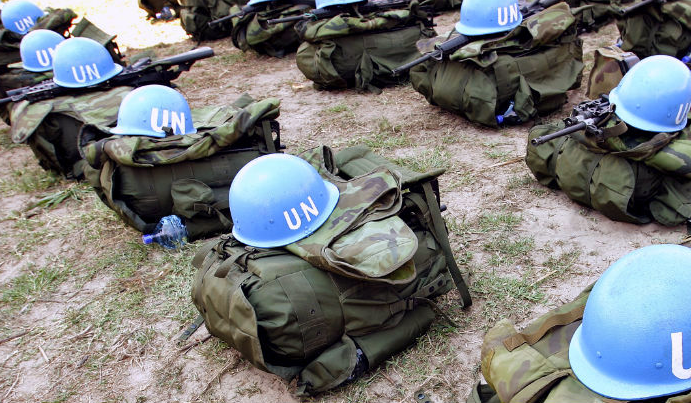 A smaller number of children were fathered by members of a separate U.N. mission sent there to pacify the country. Most of the children have never met their fathers, only having mementos in their place. Some of the children were also abandoned by their mothers and were forced to grow up in the streets as orphans. Liberia was dogged by a civil war for 14 years, killing around 250,000 people and forcing more than 500,000 others to flee their homes. The war is still considered as one of Africa’s bloodiest conflicts. It prompted the deployment of both regional and international peacekeeping forces. AP reports that while some of the women were raped, most were in consensual relationships with the soldiers. Most of the children were therefore largely products of those relationships. Even so, those relationships went against the code of ethics for both ECOWAS and the U.N., which forbid sexual contact with people under the peacekeepers’ protection because the potential for exploitation and abuse was high.